Handsome, debonair actor Gene Barry (b. New York, NY, 14 June 1919; d. Woodland Hills, CA, 9 December 2009), is vividly remembered by television audiences as Bat Masterson (series 1958–1961), Amos Burke (Burke’s Law, 1963–1966 and 1994–1995), and Glenn Howard (The Name of the Game, 1968–1971), but, surprisingly, started out and reached the pinnacle of his career on the Broadway musical stage. In 1984 he was nominated for a Tony Award® for his portrayal of Georges in the hit show La Cage aux Folles. All four grandparents of Eugene Klass, as Barry was named at birth, were Jewish immigrants from Russia. His father Martin was a jeweler and an accomplished amateur violinist; his mother Eva an amateur singer. From childhood Eugene had showed great promise as a violin virtuoso, but a broken arm, suffered in a football melee at New Utrecht High School in Brooklyn, caused him to turn his efforts toward singing instead. At graduation (he was valedictorian of his class) he won a singing contest and a two-year scholarship to the Chatham Square School of Music. While still a student, he began to sing professionally in nightclubs, choirs, at fairs, and on New York’s radio station WHN. He emceed variety shows, appeared briefly on the vaudeville stage, and won a prize on Arthur Godfrey’s Talent Scouts program. His first experience on the musical stage was in Pins and Needles, the labor revue, and he decided to choose a professional name: Barry in honor of John Barrymore. After a number of semi-staged operettas at Carnegie Hall, he made his Broadway debut as Captain Paul Duval in the 1942 revival of Sigmund Romberg’s The New Moon. Two successful musicals followed: Gene Barry was Falke in Rosalinda (1942), an English-language adaptation of Johann Strauss’s Die Fledermaus starring Dorothy Sarnoff, and in the following year, Nova Kovich in The Merry Widow. He was then recruited by impresario Mike Todd to star opposite Mae West in her self-authored vehicle Catherine Was Great (1944). Barry met Betty Claire Kalb, whose stage name was Julie Carson, at this time, and married her in October 1944. Their marriage would last 58 years, until her death in 2003. After one more “straight” play, The Would-Be Gentleman (1946), some regional work, and two more disappointing Broadway musicals, Barry decided that his career was not progressing as it should, and took a screen test. Paramount signed him up, the couple moved to Hollywood in 1951, and between 1952 and 1958, Gene Barry appeared in sixteen movies, most of them B-grade. Three of them, however, stood out: the sci-fi classic The War of the Worlds (1953), in which Barry played scientist Dr. Clayton Forrester, Soldier of Fortune (1955) with Clark Gable and Susan Hayward, and Thunder Road (1958) with Robert Mitchum. Barry had made a television debut before leaving New York, on NBC’s Television Opera Theatre, but Hollywood offered far more opportunity in this field. 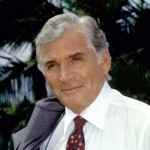 From the very start, he was appearing in series, miniseries, and specials like Alfred Hitchcock Presents, Playhouse 90, and General Electric Theater, a trend that would continue in later years with The Twilight Zone, Aspen, Fantasy Island, The Love Boat, Charlie’s Angels, and Murder, She Wrote. The popular sitcom Our Miss Brooks, starring Eve Arden, underwent a change in format in 1955, and Gene Barry was chosen for a recurring role as “Gene Talbot,” the school’s Phys-Ed teacher and the star’s love interest. Although the show was cancelled after only a year, Barry’s character, the debonair, impeccably dressed ladies’ man, was firmly established, and he was offered the opportunity to star in his own series as Bat Masterson – the historical gambler, gunslinger, U.S. marshal and friend of Wyatt Earp in the days of the Wild West. At first Barry was repelled by the idea of playing yet another TV cowboy. Then the producer “told me about the derby hat and [gold-headed] cane, and I went by the costume department and saw the outfit that Masterson would wear, and I couldn’t resist.” Barry put on the elegant swallowtail coat and the shiny black boots and looked in the mirror. “I knew exactly how to play this man … the costume dictated my performance. It changed my life. Every role I’ve done since has been a guy who looked good in clothes.” Many years later, in 1990 and 1991, Barry would recreate his Bat Masterson in an episode of Guns of Paradise and in the TV movie The Gambler Returns: The Luck of the Draw, alongside Hugh O’Brian as Wyatt Earp. Two years after Bat Masterson was cancelled in 1961, Barry’s suave, dapper persona was reincarnated in Captain Amos Burke of Burke’s Law. Burke is an independently wealthy homicide sleuth who lives in a palatial mansion and is driven around Los Angeles by a chauffeur in a Rolls. Barry won a Golden Globe Award for Best Actor for the role in 1965. In its third season, the show was renamed Amos Burke: Secret Agent (no doubt owing to the James Bond craze) and the protagonist went jet-setting about the globe, unraveling international intrigues. Burke returned a generation later for one season (1994–1995), promoted now to Police Chief. Before filming his next and third hit series, The Name of the Game, Barry played the villain in a two-hour pilot episode of Columbo, Prescription: Murder. This time he was a well-to-do psychiatrist. For The Name of the Game, the primary character rotated from week to week among Gene Barry, Tony Franciosa, and Robert Stack. Barry’s role was the well-turned-out magazine publishing tycoon Glenn Howard. A syndicated series produced in Britain, The Adventurer (1972–1973) starred Barry as, again, a wealthy government agent, who poses as an American movie star. At this time, however, his film and television career seemed to be heading for a lull, and he turned again to singing in cabarets and nightclubs, often with his wife as sidekick. By the early 1980s, he was doing primarily commercial voice-over work for Miller beer, Ford Motors, Haggar Clothing, and other companies. Then in 1983 producer Allan Carr asked Barry to try out for the role of Georges in La Cage aux Folles. Georges is the impresario of a drag nightclub in St. Tropez, the life partner of one of its stars, and the father of a young man engaged to the daughter of a politician with very narrow views. 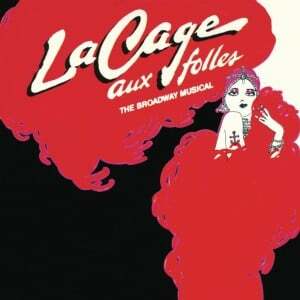 La Cage was the first Broadway musical in which the main love interest was between two gay men (Georges and Albin), but, as Barry said, “I didn’t camp him up, and that’s what the gay community loved … I played him sensitively, caringly, loving my son like any father loves his son.” Barry considered his portrayal of Georges the best of his career, and it earned him a Tony Award® nomination for Best Actor in 1984. After playing for a year on Broadway, he went to San Francisco to join the road company and moved on to Los Angeles for a long run of the show. He later took on leading roles in other musicals, including On a Clear Day You Can See Forever, Watergate: The Musical, Fiddler on the Roof, and No, No, Nanette. In 1999 Barry returned to New York for appearances at the Oak Room of the Algonquin Hotel in a revue that mingled his show-business reminiscences with an impersonation of Maurice Chevalier. He took one more film role in 2005, in the Steven Spielberg remake of The War of the Worlds with Tom Cruise. He played the grandfather of the character he had played himself in 1953. Gene Barry has a star on the Hollywood Walk of Fame as well as a Golden Palm Star on the Palm Springs Walk of Stars. He lived in Beverly Hills until Alzheimer’s disease forced him to enter the Sunrise Assisted Living Center in Woodland Hills in summer 2009, where he died of congestive heart failure at age 90 in December.